Hope you understand why we are advocating in favor of Ravenna to be one of the greatest holiday destinations. Whether you love music, dance, drama, architecture, sea beach, the city has everything in store for you. 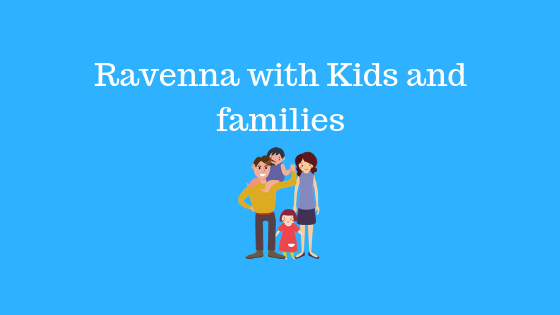 There are especially a number of beautiful resorts and beaches in Ravenna’s area for kids and families, and a great theme park-mirabilandia park, we are going to cover the best option for those of you who want to come to Ravenna with your kids and families. This is the most popular and oldest beach resort of the city, located in the north-east side. The water body is actually a wide channel connecting the town with the Adriatic Sea. One can enjoy playing beach volleyball, having a sunbath or boating and much more. You will find a number of hotels in Ravenna for kids and families nearby this beach resort. The beach is surrounded by a greenery of pinewoods which adds to its beauty. This place does have a special cuisine based on fish, and they always have some unique mouthwatering preparation for you. You can take your children to visit Paguro, situated 12 miles away from Marinna di Ravenna. This place hosts a number of endangered species of marine animals and plants, which comes under the jurisdiction of NMUA (National Museum of Underwater Activities). The Long Beach of Marina di Ravenna does have more than 1000 berths for boats and this is protected by the breakwater to ensure safety during extreme weather conditions, additionally, there is a freelance painting competition held every year in Marinna di Ravenna since 1955. You can be part of it or soothe your eyes enjoying the flavor of Romanian art. Milano di Maritima is another site, worth visiting which comes under the province of Ravenna, Italy. It is a village under the jurisdiction of Municipality of Cervia which attracts thousands of tourists every year because of its scenic beauty, restaurants, bars, shops. The village has a vast habitation old long pine trees and you can take a refreshing troll in the afternoon. The most notable architectural site of this place is the church of Stella Maris. It has a long history dating back to the 1950s, and it was the famous Benito Mussolini who initiated its construction. The church depicts the theme of classical Romanian architecture, having beautiful carvings and structures made of pine and mahogany wood. It turns into a hub of scared symphonic music in the summer evenings. Renowned musicians meet here every Friday and pay their tribute to the God in the language of music. Mirabilandia park is the absolute solution for families that want to enjoy one of the greatest parks in Italy. You can find here amazing roller coasters, and enjoy at the hotel and the restaurant in the park. When you get to the park you will be exposed to shows, events, and an amazing atmosphere. We can easily say that Mirabilandia park is the best option to spend your time withyour your kids while you are traveling in Ravenna’s area and this park is our favorite option. Click here to book your reservation now! There are many other sites as well you should visit whenever you travel to Ravenna. Let us take a glance of them. This is an extraordinary art museum worth visiting for every age group, situated in a Forli, a small town, a few miles away from Ravenna. They have temporary exhibitions of all kind is arts around the year, but it will be best to get a pre-booking when you are going with friends and families. The museum is open throughout the week from 9.30 am to 7.00 pm and the tickets range from €5 to €13. This is another beautiful museum located in the town of Forli having many timeless artistic creations in store for you. The ground floor of the building is solely dedicated to Verzocchi Collection, a group of a seventy painting by local painters of 1950s. In the first floor, you will find a civic picture gallery containing notable arts of the twentieth century. This place of a connection with a world-renowned author Dante Alighieri, who was buried in the tomb of San Francesco Basilica, located in Ravenna. The final section of The Divine Comedy, Paradise was written here when Dante moved here from his native place Florence. Except for them, there are many amusement parks in Ravenna for kids and families. Ravenna Park and Crown Park are most notable among them where you can spend a lovely evening with your loved ones. Not to mention, the family means everything to us. When you are visiting the Ravenna Festival, your family and kids are safe and they enjoy the hospitality of the local audience. Though there is a chance of getting scammed, so you need to be prepared and fold every rule by the Ravenna Festival committee. When you are enjoying the Ravenna Festival, make sure not to pollute the environment by using plastic. Particularly, just think of this world and let the world think of you!